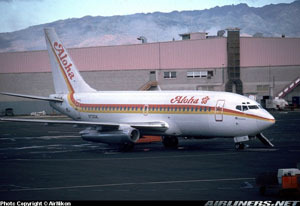 As Aloha Airlines Flight 243 leveled at flight level 240 on an inter-island flight from Hilo to Honolulu, an 18-foot-long section of the upper fuselage suddenly departed the airplane, sweeping a flight attendant overboard. The captain performed an emergency descent and diverted to Maui, landing on Maui's runway 02. Of the 95 people onboard there was one fatality (the flight attendant) and eight serious injuries. The National Transportation Safety Board (NTSB) determined that the probable cause of the accident was the failure of the Aloha Airlines maintenance program to detect the presence of significant disbonding and fatigue damage of the fuselage skin lap splice.